Legal services program, citizenship prep courses, employment placement program, health education and outreach program, a bilingual health information hotline, seven levels of ESOL (English for Speakers of Other Languages) classes, Spanish literacy courses, a vocational training program, financial literacy courses, tenant associations, worker associations, and women’s associations. 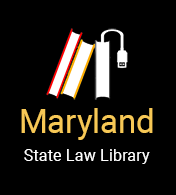 Call 301-431-4185 for information on legal services. Walk in for employment center services, open from 6 AM - 2 PM, M-Sat.